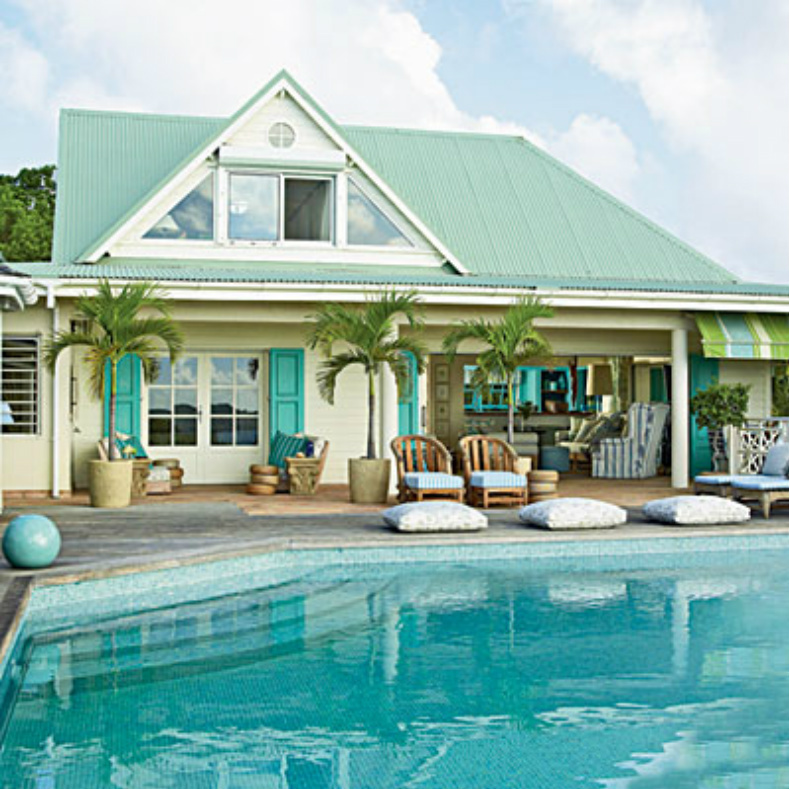 A quintessential French island cottage, complete with a steeply pitched roof line, plank siding, louvered windows, and bold turquoise shutters. 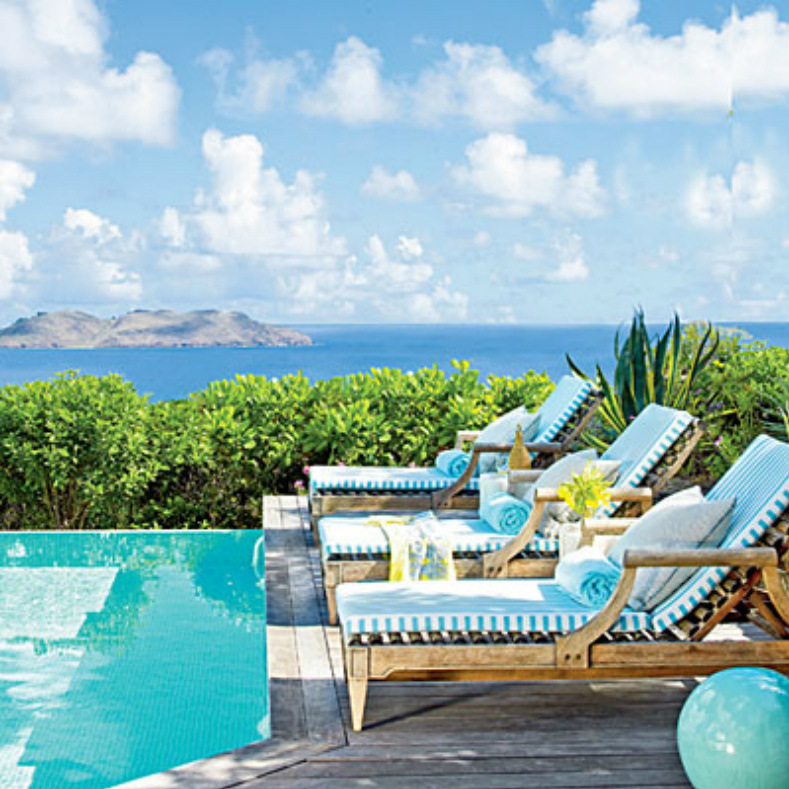 The house sits on a mountaintop high above the Bay of St. Jean, the second-largest town on St. Barts in the French West Indies. 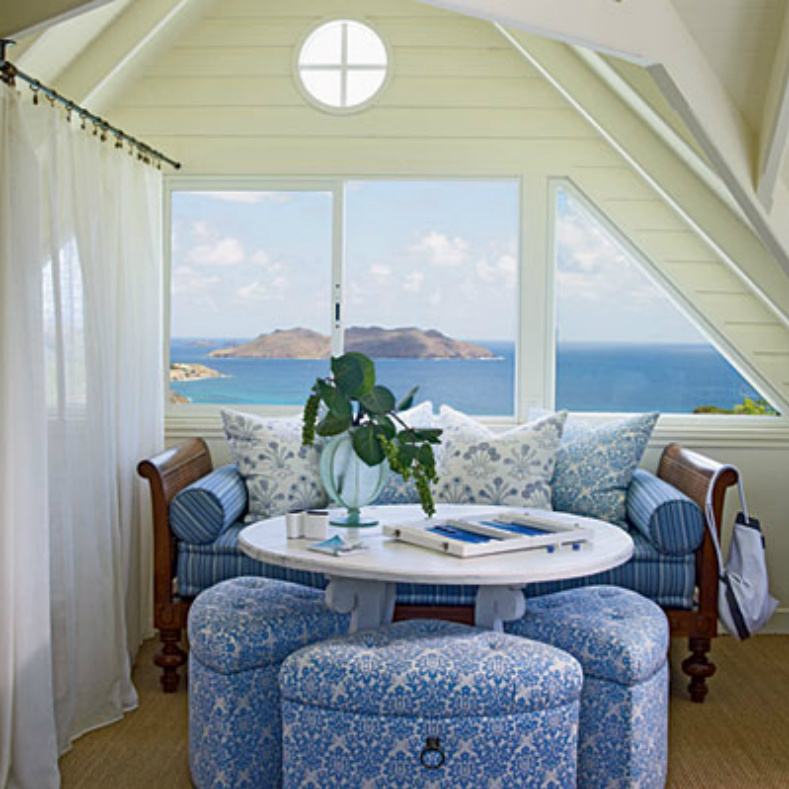 Beautiful blues, greens and beige from the ocean seascape outside flow throughout the house. This poolside lounge area offers a variety of seating around the pool. The aqua water and shutters are beautiful with the light blue roof. 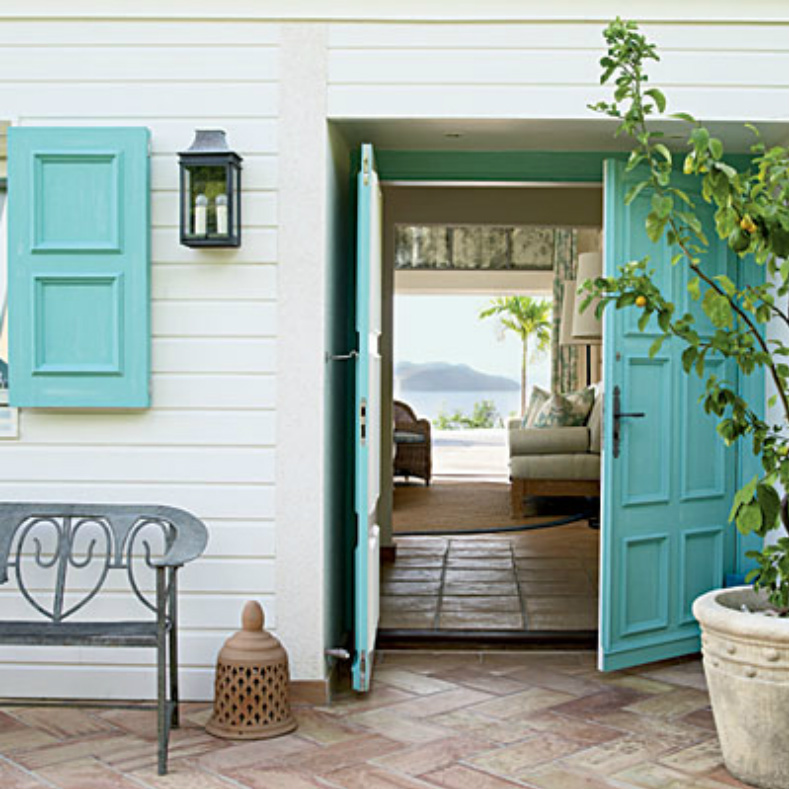 Double doors painted in a serene aqua invite you straight through to paradise. We love how the aqua walls of the kitchen peek through for just the right pop of color to the family room. 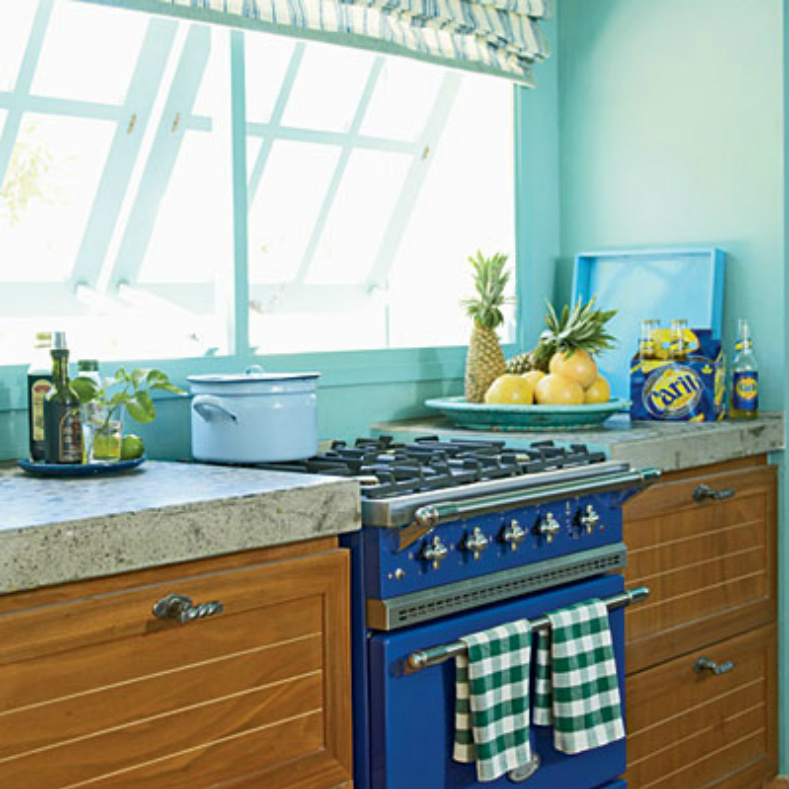 The two blues compliment each other and give this kitchen a Caribbean feel. The view from this living space is breathtaking. 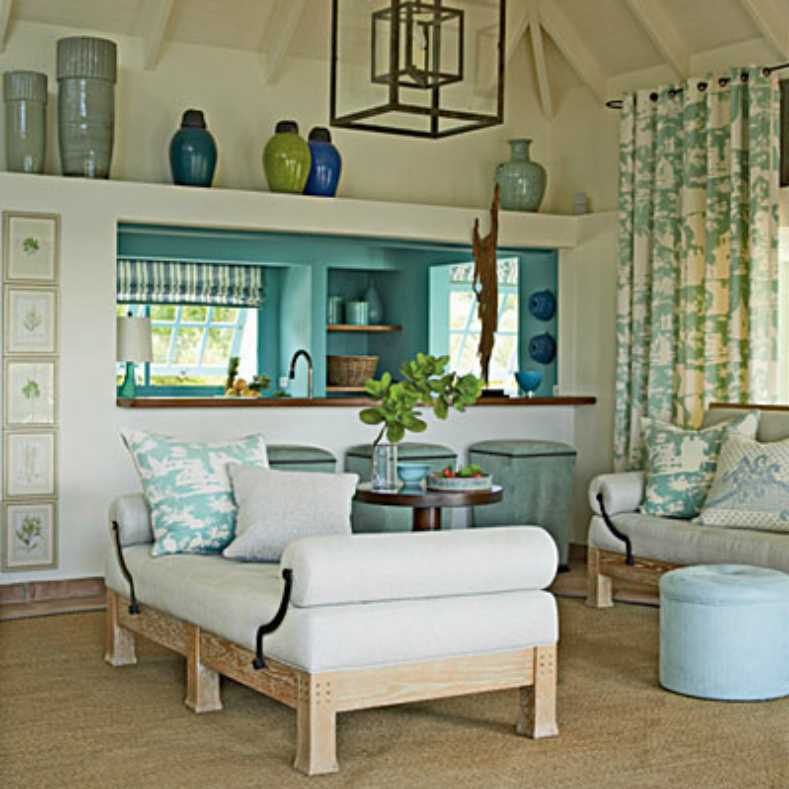 Subtle blues of the fabrics in the room seem to melt into the water. The guest bedroom has french doors that open to the pool making it perfect for a late night swim. The room's subtle natural tones allow the outside to shine. Amazing views from the pool will make you never want to leave this beach house. 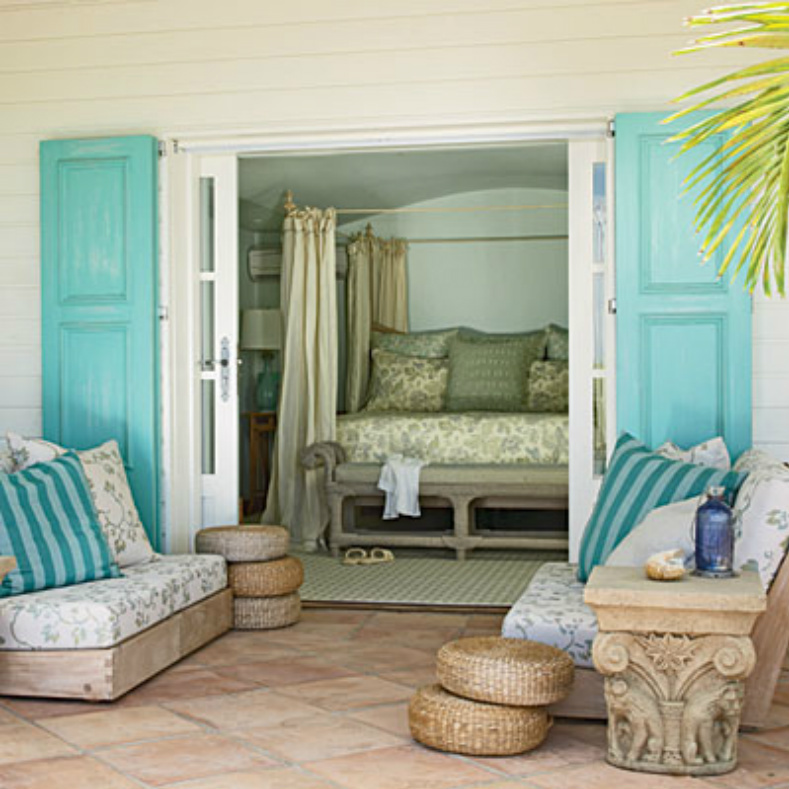 Teak sun loungers with colorful aqua cushions will become your favorite spot. 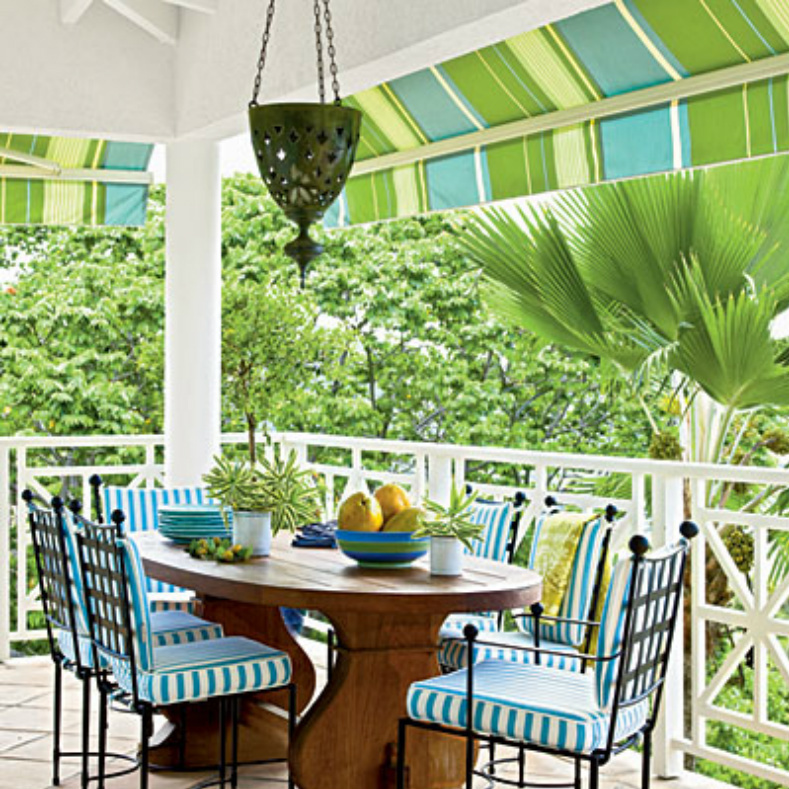 This is a great mix of colors with the teak dining table and the aqua stripe on the chairs. Tropical greenery surrounds the space giving it privacy buy still allowing an open airy feel.